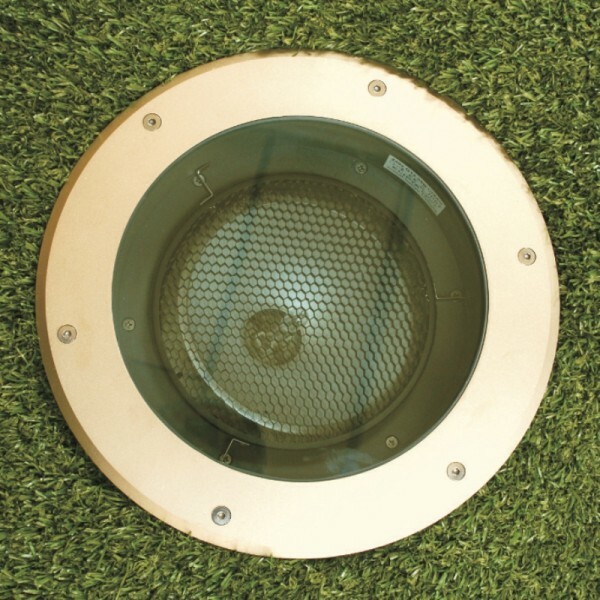 Persius recessed adjustable uplights combine a cool top lens, long lamp life and energy efficiency for uplighting trees from lawns or paving. Persius provides a powerful 36 degree uplighting beam, using a single-ended metal halide lamp, while maintaining a typical top lens temperature of under 70 degrees C - so Persius can be used even in walkover areas to uplight trees with an open canopy and branch structure from directly below. The lamp and reflector assembly is mounted on an adjustable cradle so the beam can be tilted up to 20 degrees from vertical to achieve the desired effect. The dark grey non-reflective interior means less light refraction through the lens to give away its position in the landscape. Persius has an upper compartment with a separate top lens insulated by an inner second lens from heat generated in the lower compartment which houses the lamp and control gear. Persius has a Textured Brass lens rim, a cast aluminium body and a polymer sleeve for recessing into the ground. A sandblasted brass top ring is for use in discreet installation in paving, especially in heritage projects where stainless steel may look too modern. : stainless steel,green and black tops are also available. A black glare louvre (E9500L) is also available as an accessory: this fits inside the top compartment over the lower lens to limit visibility of the light source in traffic or pedestrian areas. 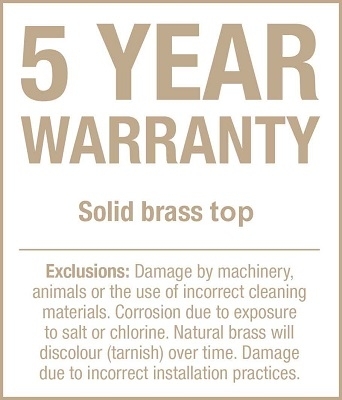 To facilitate removal of screws for future relamping or other maintenance, apply copper grease to the threads of all screws being fitted for retention of bezels, grills or other top plates or retaining rings. Copper grease resists degradation due to heat and protects against difficulty in removing screws, particularly where stainless steel screws are fitted with aluminium parts. It may also be used on screw threads of screw-off bezels or glare shields. Ensure surplus is cleaned off with a solvent to prevent staining in use. 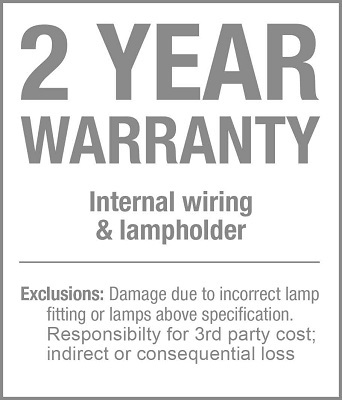 Order lamps separately.